You are invited to this fundraising trip for WBAI. Register for the trip at https://www.journeyswbai.org/. Additional questions should go to Sonya at journeys@wbai.org. Pacifica Station, WBAI invites you to join them on a journey to Peru November 7-15. 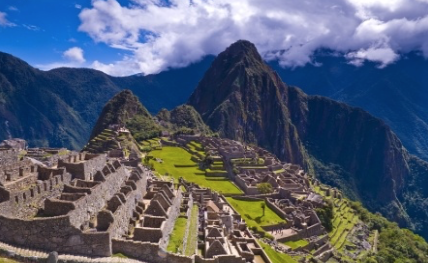 Throughout the nine day trip members will embark on excursions to ancient sites, glean knowledge from a Master Shaman about Andean culture and spiritual traditions, learn from an Indigenous Peruvian scholar about political and economic changes over the past 50 years, and go on an expedition to Machu Picchu. Discussion for the trip began in the summer of 2018 when Sonya approached the WBAI general station manager, Berthold Reimers. 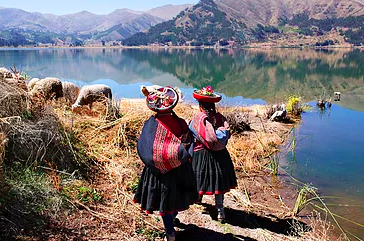 Peru will be the first trip planned as part of WBAI’s new travel program initiative: WBAI Journeys: Political and Spiritual Connections. Trip members will have the chance to experience seeing many ancient megalithic sites in the Sacred Valley and in Cusco city proper. 100% of the proceeds from the trip to Peru support WBAI. To find out more information and to register visit https://www.journeyswbai.org/. Additional questions should go to Sonya at journeys@wbai.org. This entry was posted in Pacifica News by Melissa Martin. Bookmark the permalink.